Below is a form you can fill out to register for one of our classes in our upcoming session. 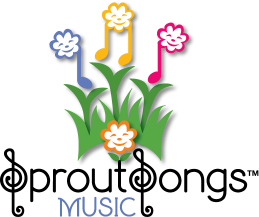 For our 10 week Spring 2019 Mixed-age and Music Together® Babies classes, tuition is $190 for the first registered child, $110 for a sibling of a registered child, and $80 for the second sibling of a registered child. A sibling of a registered child that is younger than 10 months old on the first day of class is free. There is a one-time only registration fee of $20 for new families. For our 3-week 2019 Winter Interim Session, featuring the Family Favorites 2 collection, tuition is $56 for the first registered child, and $32 for a sibling of a registered child. A sibling of a registered child that is younger than 10 months old on the first day of class is free. There is a one-time only registration fee of $20 for new families. Tuition includes a CD, an MP3 downloadable version of the song collection, a new family music development booklet, a Music Together growth chart, and access to the Music Together Family Music Zone and free Hello Everybody app. Should you need to miss a class during this short session, 2 free make-ups can be arranged based on availability and can be scheduled through the make-up scheduler. You should receive a registration payment confirmation email once we have received payment. If any class changes need to be made, the director will call you to discuss them. For our occasional Music Together Guitar for Grown-ups class, tuition for 8 weeks of class is $150 and includes the guitar workbook. CANCELLATION POLICY: Full tuition refunds will be issued until the first day of class. NO tuition refunds will be given after the first day of class and after family packets have been distributed. Credit toward future classes will be issued only in extenuating circumstances at the director's discretion.